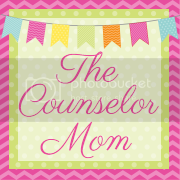 The Counselor Mom: I need a hug! Have any of you moms or dads out there had a tough time during the holidays with major toddler meltdowns? Or even with your school aged child? It's tough this time of year with the toys, candy, parties and school vacations. I LOVE the holiday season and it's even better seeing it through the eyes of your children. This season was even better since we added the Elf on the Shelf! But during we had a few more melt downs these past few weeks than we normally have. But who can blame my toddler? From the excitement of going on the Polar Express, to meeting Santa, to her school holiday party, it's understandable that she felt a little overwhelmed by it all. And even though I've blogged on the topic of temper tantrums before, click here, (and excuse the old blog entries, they are not looking as great since I moved the blog over to blogger) this time my one solution has worked EVERY time this holiday season. I was in shock each time I used it and it worked, and was waiting for the day for it not to work out so well, but that day never came! And a side note here, kids this age have sooo many emotions running through their little bodies at this age and just don't quite know how to process them, so they get super frustrated, super easy. My 2.5 year old child is crying, throwing herself on the floor and uttering unintelligible words while pounding her fists into the floor. Classic tantrum. As I was acknowledging my child's anger and frustration to her, and feeling like I was going to have to walk away and ignore it as they say to do, I asked her, "Luna, do you need a hug?" and guess what happened? She quickly stopped kicking and crying, stood up and walk right over to me and fell into my arms. We would cuddle for several minutes while she calmed down and then she was off to play again, like it never happened. And this is something that I did over and over again and it worked each time! I know it's not some magic wand remedy, and it may not work every time, especially with kids that hate hugs, but it's worth a shot next time you have a tantrum on your hands. I think it works well because kids have a hard time with self-control, and by just melting into a pair of soft arms and cuddling, it helps them calm down in a way they just haven't figured out yet. What works best for you?? Any secret remedies? I wish I had used this with my kids. When mine were younger we would just ignore them and they would stop usually. But it was hard! Funny, I've done the hug thing too recently and with a little urging my spirited child will come in for one and calm down. I also have just sat there and let him cry but will stroke his arm or back saying things like 'you're frustrated, let it out'. And he will cry less and calm down.